For more information, send us an email. *All calls and emails are confidential. Do you tell yourself God has forgiven you for your abortion(s), but you just can't seem to forgive yourself? 43% of women have experienced an abortion and carry an incredible burden while wearing a smile on their face. Many struggle for years with repressed memories, guilt, shame, and depression. Most women feel they are not allowed to talk about their abortion experience because it was their "choice." 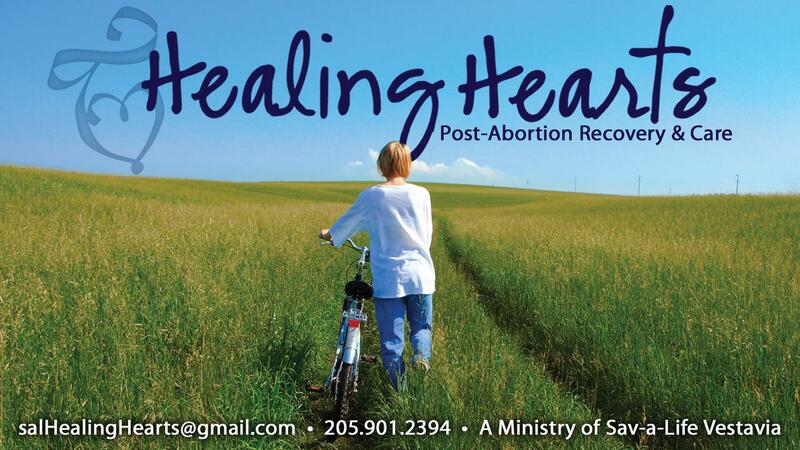 If you feel you have never recovered from your abortion experience, or that it may be affecting your current quality of life, this group will help you start the healing process. You will find a safe place to talk with other women who feel the same things you do, and you will learn how to heal from women who have already made the journey toward healing. A lot of women feel hopeless about ever resolving the pain connected with their abortion experience. But healing is possible. We need people to greet, sign up for snacks, compile prayers lists, make fliers, etc. Email Suzanne Moore or Deanna Cartedge for more information. Contact Traylor Lovvorn at (877) 200-1520 for more information. The Homebound Ministry's purpose is to continue the ministry of the church to those that are no longer able to attend. Everyone needs to feel loved and know that their church has not forgotten them. The Homebound Ministry works along with our active Deacons. Literature, CDs of Sunday's sermons, Communion, visits, cards, mailing of the Shades Life Newsletter, and a Wednesday Night Prayer Sheet. Please email Judy Meadows if you are interested in being a part of the Homebound Ministry or if you know of a member that would benefit from this ministry. CONNECT is a ministry to women who are experiencing, or have experienced, divorce. Please join this support group of ladies of all ages as together we claim and receive the healing and hope that God makes available to us. We will center on the study, "New Life After Divorce." Please email Suzanne Blocker or Nancy Driskill for more information. Please join us as we support one another on this journey - God has amazing things in store for you! Please email Lynell Lovinggood or Beth Gann for more information.